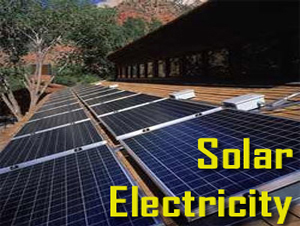 A solar powered grid is competent of offering connectivity with the system that produces 100% clean electricity by mean of panels located on your roof that is available for you in order to utilize in the household as well as supply back towards the main electricity grid. 1. Sunlight strike the solar electric (photovoltaic) panels as well as is eligible for having intake by silicon, which is known as a semiconductor. Subsequently a chemical reaction occurs as well as the release of electrons moreover generates the DC electricity. 2. The quality of inverter in converting the DC electricity into the AC electricity makes possible the utilization for your houses. 3. The AC electricity is delivered at your house’s existing service panel. 4. The solar array supply electricity at your house as well as the power grid supplements this in case the solar system stops producing enough electricity. 5. 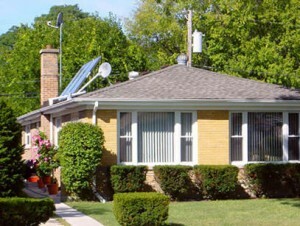 If your solar array produces additional electricity than the requirement of your house, the surplus electricity is sold back to the electric company, as a resultant of credit on your electric bill.